The Castello di Sezzate presents some of the typical features of a mediaeval castle. Firstly, its position at the mouth of a valley justifies its existence on the military level. 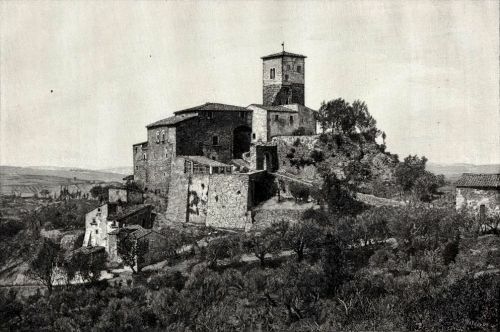 Secondly, it comprises two groups of structures, one for the residence of the lords (the "caisson"), and the other for the population concentrated in the village huddled under the walls and that had a parish church dedicated to San Martino. Worthy of note are some arrow slots (long and narrow, vertical slits in the walls to allow secure defensive archery). These have recently been restored, along with some scaffolding holes (slots in the vestment to support wooden scaffolding during construction and repairs). The escarpment visible at the base of the Castello di Sezzate is likely to be a later addition with the purposes both to provide defence against cannon fire and to reinforce the solidity of the building. Originally owned by the Alamanni family, the Castello di Sezzate later passed into the hands of the Guidi, the major representatives of the Empire in this part of Tuscany, and because of this open political alignment of its lords, the castle became involved, during the 13 C, in clashes between the Guelphs and the Ghibellines. 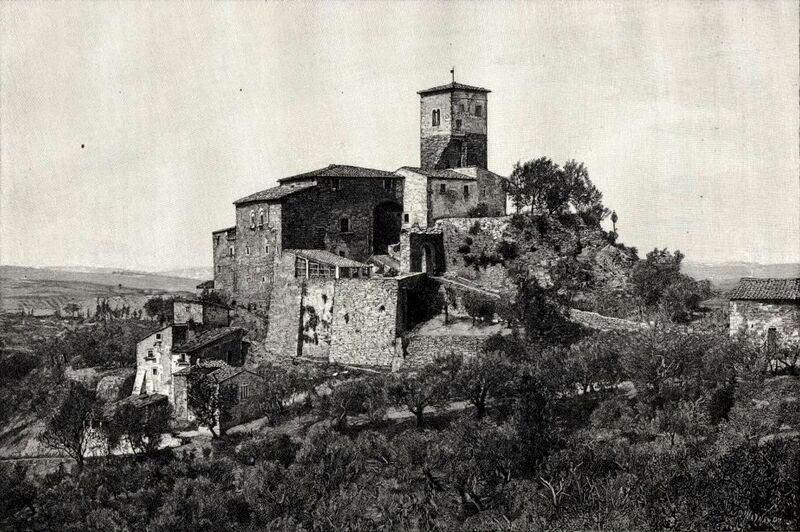 As a result, the castle of Sezzate suffered damage that did not, however, compromise its vital functions, including, once again in the early 14 C, a market in the vicinity of the castle intended for a clientele of relatively large area (from Strada in Chianti to Rubbiana). After securing the functions of a "noble"residence for the Florentine Bardi family, who also owned the neighbouring fortress of Mugnana, like many counterparts, this structure was destined to become a habitation for the peasantry, divided into units and then undergoing a progressive abandonment, until it was restored in recent decades. By removing the plaster from most of the walls and eliminating some later accretions to the building of the mediaeval period, this restoration has brought to light the original mediaeval walls. The Castle of Sezzate can be accessed easily on foot from the Cintoia - La Panca - Greve road, by following the public walking path no. 18 of the Italian Alpine Club, which is part of the so-called "Cintoia ring" and which leads to the castle over a mediaeval bridge crossing the Sezzate creek. 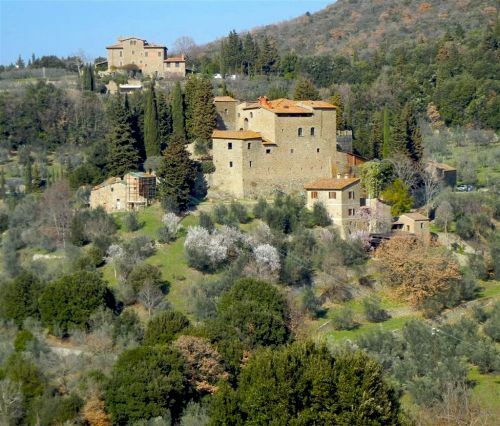 Immediately below the castle, following the path through a beautiful olive grove, you can admire both the wonderful grove itself and the imposing castello buildings, and enjoy a panoramic view to the north and the basin where Florence is situated.